Are we living in a social economy, or a precarious one? Bikes and watches made in the U.S.A.?! Hurray! Nordic countries’ balance of market and state a form of humane capitalism? Here’s an article co-written for The Globe and Mail via Are we living in a social economy, or a precarious one? – The Globe and Mail. This piece is part of a Globe and Mail/OCAD University summer series highlighting design thinking, issues and innovation. The CleanCube Project was featured in OCAD University’s InStudio online publication via Clean-water design: Health, gender and sustainability | OCAD UNI…. Being my father’s daughter, his love and knowledge of U.S. labour history made its way deep into the creases of my brain. So I am acutely aware of the events that stand out and acted as turning points in the long and continued struggle for better wages, conditions, and treatment of workers. One such example, the Triangle Shirtwaist Factory fire, took place in New York City on March 25, 1911, killing 146 women, most of whom were new immigrants and between the ages of 16 and 23. This tragedy prompted new legislation that would help to ensure better safety for sweatshop workers and a shift in what employers could demand of their employees. With this in mind, reading a recent Business Week article, it is hard to understand that the same preventable tragedies still take place, all too often. Forward 102 years later, to a different part of the world but to all too familiar circumstances. The high demand for garments still put women in danger of factory fires and other risks of injury and death. The article discusses the perils associated with ‘fast fashion’. The two-week cycle of clothing lines, which helped to make retailers like H&M and Zara global titans of cheap fashion, is directly linked to increased incidents of death for the workers that make this fast production possible. The Triangle Shirtwaist Factory fire helped to change how workers were treated in the 20th century in the U.S. What is powerful enough to change this pattern in Bangladesh and other parts of the world where sweatshops still go unregulated and workers still die in the name of the cheapest, trendiest fashion? Read the full article at Business Week and more about the Triangle Shirtwaist Factory fire. One of my favourite things I brought back from my time living in Chicago is an orange 1970’s Schwinn Continental 10 speed. It is from a time when Schwinn’s were still manufactured in Chicago, in fact only a stone’s throw from the Logan Square apartment basement where I found it. 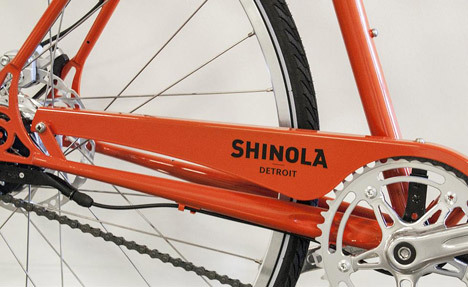 So it makes me particularly excited to read about the return of bike production to the Midwestern U.S.
Shinola with its slogan, “Where American is made,” is currently producing bicycles and watches in its Detroit factory, a building that once housed GM. It is also planning to roll out a line of leather products and notebooks. This company finds good company as part of a growing trend of manufacturers committed to American production, good design and building a compelling brand. Read the full article from Core77. A special report from the Economist this week, titled, “Northern Lights,” examines the “quiet revolution” taking place in Nordic nations that has allowed for increased financial sustainability while encouraging innovation, creativity, and high levels of social mobility. With Sweden’s public spending dropping by 18% and its debt reduced by 33% since 1993, Denmark’s policy allowing” parents to send children to private schools at public expense,” and Finland’s trend of engaging innovation and entrepreneurship by tapping into its venture capitalists and angel investors, there are some who are concerned that the Nordic countries have swung too far in the fiscally conservative direction. While others feel the move from the far left is the reason this area of the world is thriving. Are Nordic counties finding a new balanced “Middle Way” between capitalism and socialism? Can this serve as an example of a more humane form of capitalism that the rest of the world can learn from and follow? Toronto-based lighting designer and Design Common colleague Katharine Tessier’s new project, Manufacturers and Designers Connect (M+Dc), launches its first round of designs representing collaborations between local designers and manufacturers during Toronto’s Design Offsite Festival. Beyond the beauty of the products themselves and the innovative design process behind them, Kate is offering manufacturers the ability to expand their production lines and maximize the capacity of their equipment and facilities. This, while giving designers access to tools, techniques, and manufacturer insight so often out of reach for small batch production runs. This project is at the bleeding edge of the movement back to more localized production and intentional consumption. Great work, Kate! Learn more about M+Dc and the process behind these designs at mplusdc.tumblr.com. Read the National Post article about Katharine Tessier and Manufacturers and Designers Connect. Trendwatching.com announced its “10 Trends for 2013.” Number two on the list is the growing number of emerging market companies looking to gain customers in other emerging economies. One of the examples cited is China’s second largest smartphone maker, Lenovo, which started selling a range of smartphones in Indonesia in October. It plans to roll out a smartphone for the Indian market in March of 2013. During the PSFK CONFERENCE LONDON last month Tamara Giltsoff talked about how large organizations can incorporate sustainability into their business. Read more about her talk and the conference. Tamara Giltsoff from Piers Fawkes on Vimeo. 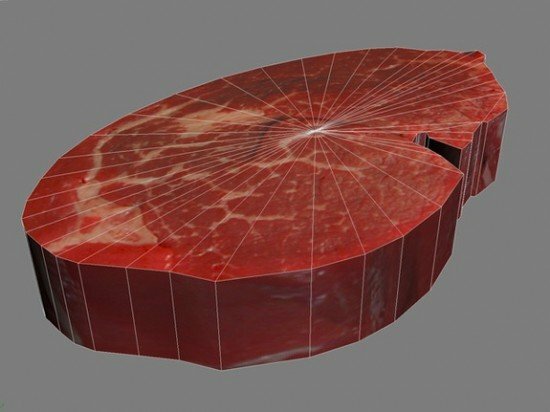 3D printed meat: A greener, more humane option or science fiction? With the backing of Peter Thiel’s Breakout Labs, Modern Meadow is a company using cell culture to create 3D printed meat and leather. This technology has application in the realms of product development, fashion, food, and medical testing. The world in 2052: a better place to be? 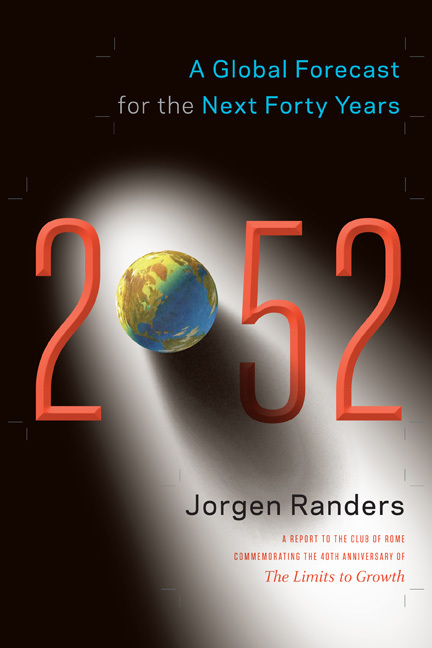 Jorgen Randers is professor of climate strategy at the BI Norwegian Business School, coauthor of The Limits to Growth in 1972, Beyond the Limits in 1992, Limits to Growth: The 30-Year Update in 2004, and his newest book, 2052: A Global Forecast for the Next Forty Years, offers his outlook of the world in 2052. From looking at energy costs in 40 years to how the transition of power from the U.S. to China will transpire, Randers offers his forecasts. In a nutshell, it’s grim with a splash of hope. Read the full article and more about the book. © 2012 | Trickle Up Design.